This volume argues for an innovative interdisciplinary approach to the analysis and translation of literary style, based on a mutually supportive combination of traditional close reading and ‘distant’ reading, involving corpus-linguistic analysis and text-visualisation. The book contextualizes this approach within the broader story of the development of computer-assisted translation -- including machine translation and the use of CAT tools -- and elucidates the ways in which the approach can lead to better informed translations than those based on close reading alone. This study represents the first systematic attempt to use corpus linguistics and text-visualisation in the process of translating individual literary texts, as opposed to comparing and analysing already published originals and their translations. Using the case study of his translation into English of Uruguayan author Mario Benedetti’s 1965 novel Gracías por el Fuego, Youdale showcases how a close and distant reading approach (CDR) enhances the translator’s ability to detect and measure a variety of stylistic features, ranging from sentence length and structure to lexical richness and repetition, both in the source text and in their own draft translation, thus assisting them with the task of revision. 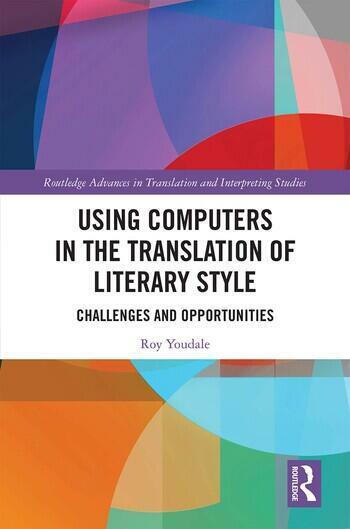 The book reflects on the benefits and limitations of a CDR approach, its scalability and broader applicability in translation studies and related disciplines, making this key reading for translators, postgraduate students and scholars in the fields of literary translation, corpus linguistics, corpus stylistics and narratology. Roy Youdale teaches undergraduate translation at Bristol University, UK, where he completed his PhD in 2017. He is researching the use of corpus linguistics and text visualisation in literary translation and has presented his work at the universities of East Anglia and Swansea, and the Link Campus University in Rome.